There is a lot of viral fuss at the moment from excited enthusiasts about a car which they will never buy new with their own cash – the Chryslerised Delta. Sticking a Chrysler badge on a Lancia Delta amounts to a crime on a par with putting the Sao Penza badges on the Mazda 323 – a miscarriage of marque identity. However, can I shovel the facts in: this car will punted as a pure and simple ‘corporate purchase’. Who wants the private buyer? 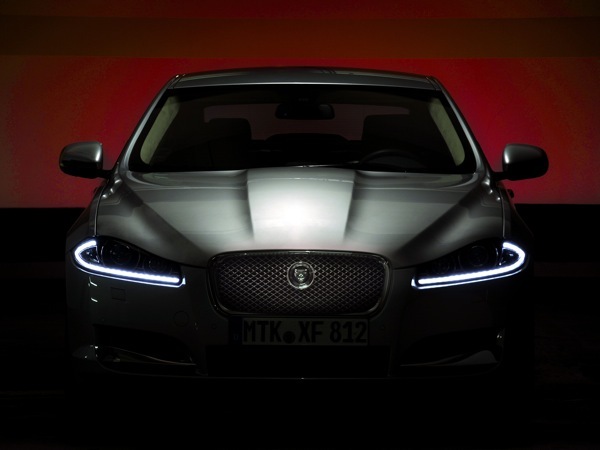 Fleet buyers or death would be the sensible demographic for the marketing man. It needs to sell – or why bother? It’s not going to happen. 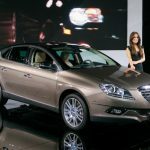 They might be there thinking; ‘I really like the standard quilted leather and Alcantara dash top so which two-tone should I chose?’ Chrysler’s Marketing Department will win buyers if they sell the Delta as an Apple/Radley handbag/Loake shoe-type product. Make it cheaper than a BMW 118d per calendar month and it’s bingo. Marque heritage will never get a look in – who cares? You might argue that the Lancia brand is a non-starter because of the famed corrosion worries – will you care if your perk is going rusty? No, of course not – you will get a new one in four years’ time. This year, then, the enlightened family man will be getting a stylish hatchback to set him apart from his neighbour with the 118d/Golf BlueMotion/Prius – that’s annoyingly a niche which the MG6 could have acquired first. The Italians do, in fact, have some form here – the Alfa Romeo Arna was the Nissan Cherry-bodied product of a JV between Alfa Romeo and Nissan which did, at least, have an Alfa Romeo Boxer engine and was in production from 1983 to 1987. The Alfa 164, which was based on the same platform as the Saab 9000 was, perhaps, a rather less conspicuous example. Chryslerised Lancias are better than no Lancias (the current situation). I don’t like the look of the new Delta though – it looks far too generic. The true spiritual replacements for the Delta were the Mitsubishi Lancer Evo, the Subaru Impreza and, possibly, the Citroen C4. Citroen don’t, though, seem to be trading off the back of their rallying accomplishments. You are right that the Chrysler Delta’s potential customers are those individuals who are looking to replace their current Sebring box. I wish Fiat/Chrysler well, but I would hesitate to put my money on a quick success. I agree with Keith’s thinking. 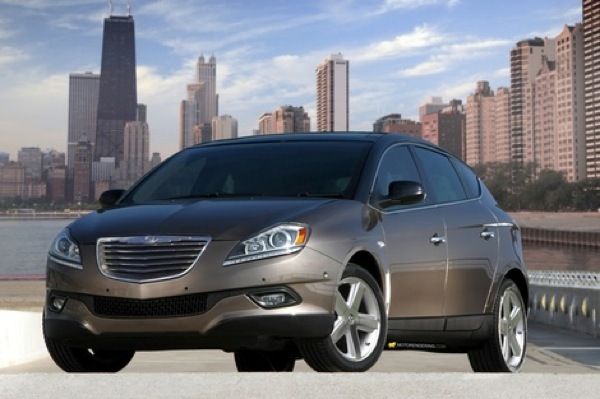 The Chrysler Delta looks like a good alternative to the cars mentioned. However, I think it would be better sold as an “original” Lancia Delta as we know it, but it doesn’t look like the Lancia brand will return to the UK. Perhaps the old reputation of rusting Lancia’s can be laid to rest? You’re right, Lancia as a brand isn’t going to return to the UK. 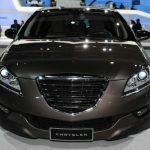 Mr Marchionne’s plans are for Lancia/Chrysler cars to be sold as Chryslers in the UK/US and Lancias in continental Europe, where the Chrysler brand is to be dropped. Speaking of rust, it’s been a very long time since I’ve heard about corrosion problems on a Lancia (Fiat) model. Admittedly, it was a major issue some 30 years ago (awful steel quality and little or no rustproofing), but it seems to be finally gone now. 30+ years of Fiat ownership in my family (and friends, too) and not a single case of rust. Poor reliability – yes, that’s another story. I think it’s a shame that Lancia isn’t coming back but it seems like that decision’s for good this time. I’ve had a load of Fiats and the first, a 1986 Panda, showed no sign of any rust at all. However, the reputation for poor quality and unreliability stands. 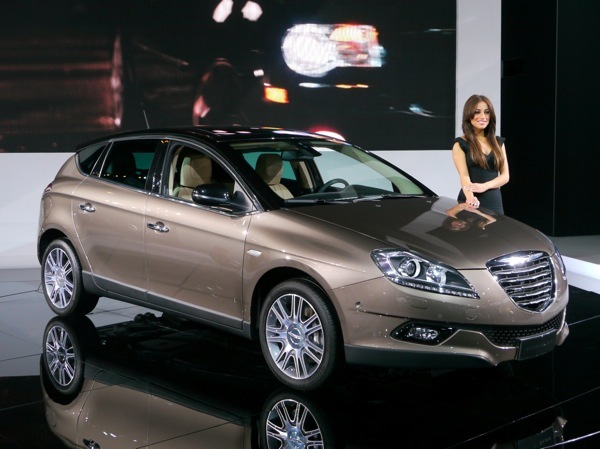 A Lancia relaunch is not worth the risk when there’s a Chrysler Dealer Network up and running and keen to sell the Delta. This is one of the key benefits of Fiat’s acquisition of Chrysler – sell the same cars in more markets, at relatively low cost. I’ll be looking at the Delta when it comes on the market. Think Arna, also think Triumph Acclaim – both cars which very obviously wore the wrong badge. Heheheh. Last year I had a 1994 Lancia Dedra that needed £400 of welding to get through the MoT. Mention Chrysler and I think of badly driven Grand Voyagers on the school run. I think of Lancia and have visions of crappy Dealers and pyrotechnic electrics. Just imagine kids… Introducing the all-new Lancia Solara… Urgh! Lancia’s new monospace will, in fact, be a rebadged Grand Voyager… Solara? No way, there’s a Talbot copyright already on that I’m afraid, haha. 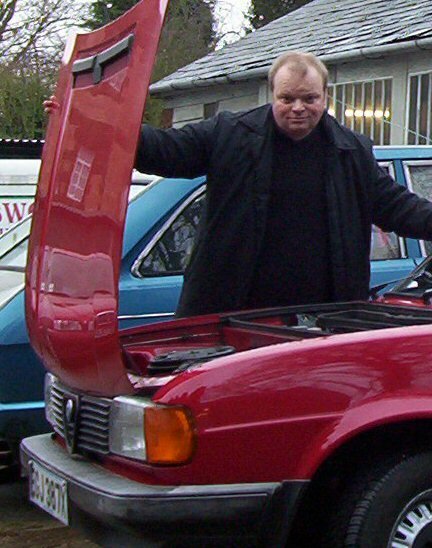 Speaking of old unloved Lancias – why not Beta or Gamma? Seriously now, the upcoming big Lancia saloon – Chrysler 300C-based – is going to be named Thema (another name from the good old days). I would’ve tried another name, a new one, by the way. A glorious name on a yet-unknown car might well backfire. See 1993’s Delta II. What’s more – the 300C-derived Thema is… yes, rear wheel drive. The Italians, who’ll be pretty much the only Europeans to buy it – being Italian I hope not, but I’m afraid so, will hardly accept a RWD Lancia (which, as a marque, has been FWD forever now). Mind you, at this point in history, it was going to be Chrysler or bust anyway, the whole Lancia lineup being no more than re-skinned Fiats for several years now. Rumours of Fiat pulling the plug on an ailing brand have been reported pretty frequently of late – at least, until the Fiat/Chrysler agreement. Yes, I’ll have a look at the Delta – but am I alone in thinking of Chrysler as a bargain basement brand and of Lancia as an (admittedly flawed) upmarket contender? I’ve always thought the same, but I still consider Chrysler to be the most interesting American car manufacturer and Lancia to be the most interesting Italian car manufacturer. That’s probably only because of the lack of Dodge marketing for ages here. The Neon was a Dodge, not a Chrysler; likewise the LH-platform cars were topped by a Chrysler model (the rather accomplished, if unpopular, 300M). 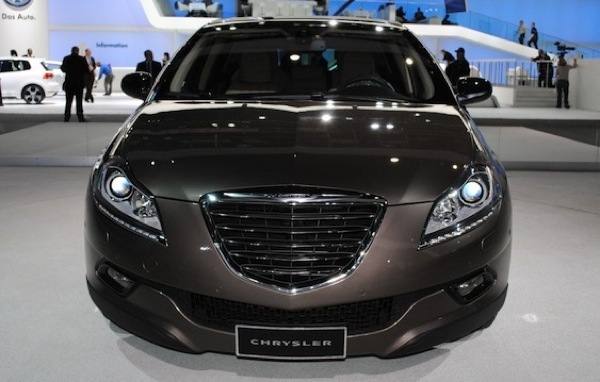 Chrysler is a reasonably upmarket brand – if the equity can be translated into good marketing and pricing. The products in the UK are seen as cheap and inferior though. 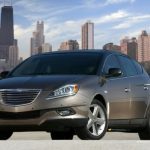 Technically GM is more interesting than Chrysler – spaceframes, plastic bodies, rotaries, turbo boxers, huge amounts of technology sold alongside the seemingly unkillable J-body FWD Cavalier derivatives – though GM’s approach is to kill the tech before the tech kills the company and keep selling cheap, dull machinery. AMC/Chrysler does have a lot of cool history too; the AMC Eagle and XJ Cherokee are very interesting products. Good luck to them. I don’t blame them for not using the Lancia name though. It’s heavily tarnished here in the UK and the last Lancias, which were just re-clothed Tipos, left a lot to be desired. Please don’t bash what you haven’t driven. Hmm… GM more technolgically advanced than Chrysler? Red Ball Express – 85% of GM trucks off the road – 85% Dodge trucks still running. Chrysler UK will forever be associated with the rattlebox/rotboxes that were the Sunbeam, Horizon and Alpine while, as for Dodge, well, that name was bailed out in the UK by Renault because the range hadn’t evolved beyond the Dodge Commando and Dodge 50 from the 70s! Furthermore, Chrysler’s Jeep division is known as ‘Cheap’ due to the poor quality and general fragility of the cars. Thanks, that’s a great site.